The spirit of stewardship encouraged at St. Anthony School has generated the devotion of countless hours towards community projects and volunteer work by our faculty, students and graduates. We aim to teach the importance of public service by requiring volunteer work as part of our curriculum. This community outreach is an essential part of the SAS culture and teach compassion and selflessness both on and off campus. Through these lessons, we cultivate a strong sense of community responsibility and educate for Service, Justice and Peace. St. Anthony’s Interact Club was asked to present their Rotary experiences at on leadership camps and other community service projects. 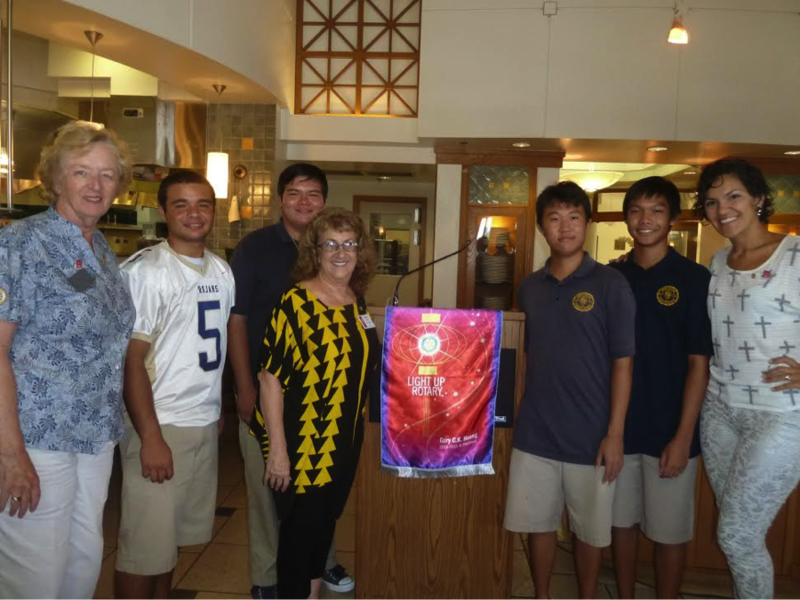 From left: Rotary Club of Maui Past President Colleen Welty, graduated senior Joey Cardoza, senior Micah Level, Joanne Laird, graduated seniors Yusuke Yamagami and Jonathan Ibanez, and Rotary Club of Maui President Ariadna Romero. The St. Anthony Junior-Senior High School National Honor Society and Junior Honor Society spearheaded a penny drive on campus to benefit schools recovering from the storm in Puna, Hawaii. In one month’s time, students collected approximately $1,000 in donations and were able to send off 12 boxes of supplies to students at the affected schools. 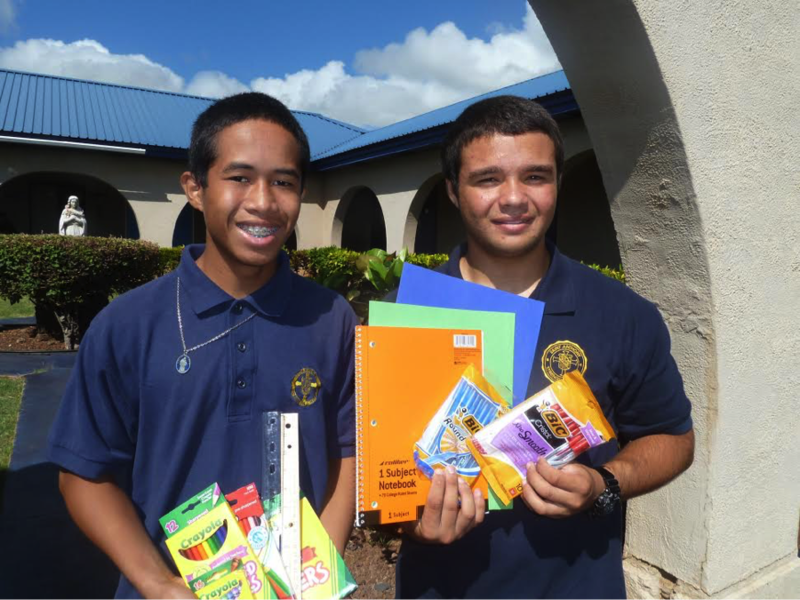 St. Anthony Interact Club President Joey Cardoza (right) and Club member Hamilton Ioanis show off some of the school supplies collected for the Puna Schools affected by Hurricane Iselle. St. Anthony School Band does a canned food drive every year at their concert. So far, the Band has collected about 600 lbs. during this 2015-2016 school year. Since this effort started in 2009, the group has collected over 2,000 lbs. for the Maui Food Bank and Feed My Sheep. Over the past three years, the school has worked with many local charities in providing clothes, toys and other gifts for the less-fortunate keiki on Maui during Christmas. They have also worked closely with the Laulima Giving Project (formally the Lokahi Giving Program) during the holidays. The school has recycle collection bins throughout campus that fund local charities and churches. Both students and teachers volunteer at Maui Intermediate Band Festival every year. St. Jude’s Children’s Research Hospital Trike-A-Thon.